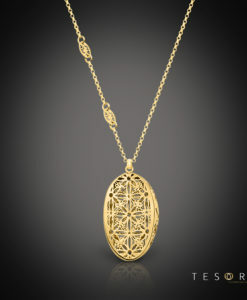 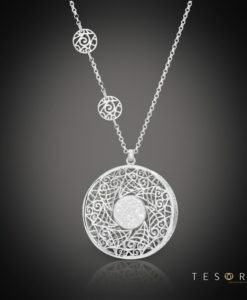 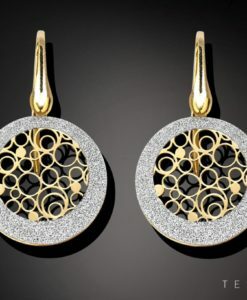 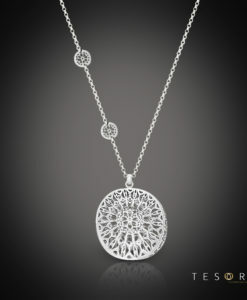 The Lizzano silver pendant necklace is a beautiful combination of yellow and white coated silver in a unique tear shaped 3-dimensional profile. 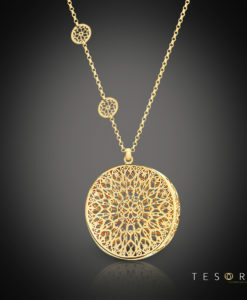 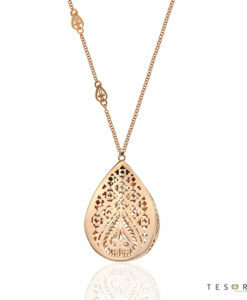 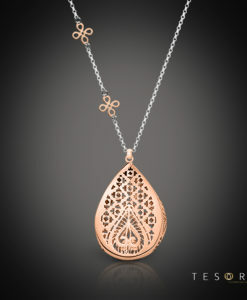 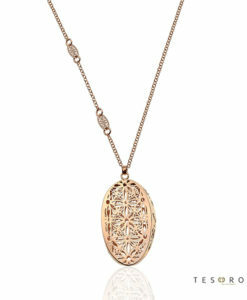 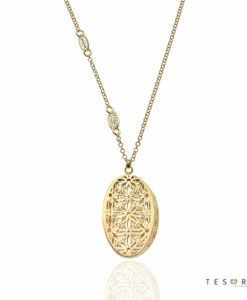 The gorgeous intricate design is complimented by the addition of twin floral pendants set in the length of the chain. 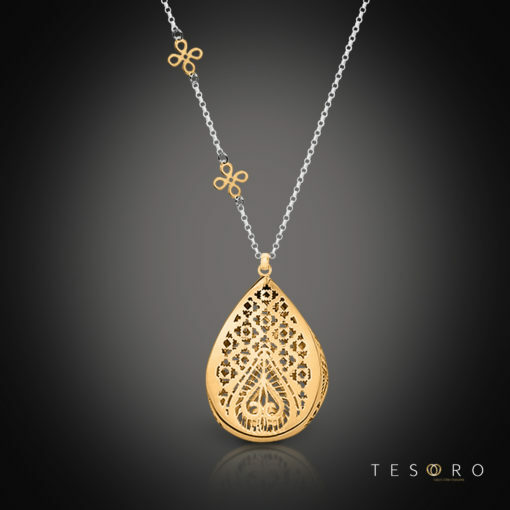 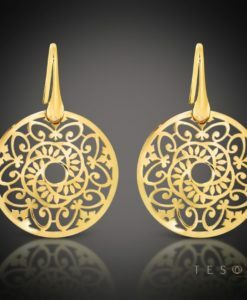 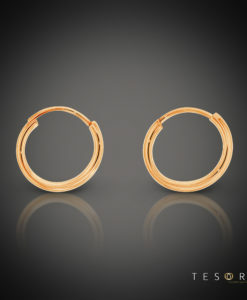 A true stand out piece in the Destino range that will never disappoint. 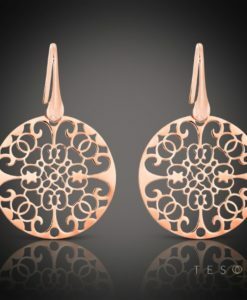 Tesoro Tip: If you wear white gold jewellery daily, Lizzano is a great choice as the combination of white & rose makes it a truly versatile piece.